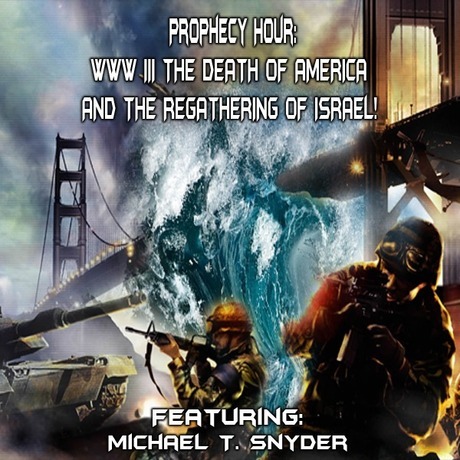 MESSIAH'S BRANCH Ministries and International Radio: Prophecy Hour Radio - End Time Radio By Messiah's Branch - WWW III THE DEATH OF AMERICA AND THE REGATHERING OF ISRAEL! Prophecy Hour Radio - End Time Radio By Messiah's Branch - WWW III THE DEATH OF AMERICA AND THE REGATHERING OF ISRAEL! WWW III THE DEATH OF AMERICA AND THE REGATHERING OF ISRAEL! "The ReGathering of the Ten Lost Tribes"
"Economic Collapse, WW III and the Death of America!" "I believe that the greatest move of God and the greatest harvest of souls that the world has ever seen are coming. But this coming move of God is going to look very different from the way that we "play church" today. The era of the "Christian superstar" is ending, and God is going to restore things to the way that they worked during the early church. In this next move of God, we aren't going to put "Christian superstars" up on a pedestal and rely on them to do all the ministering. Instead, it is the people that are going to be doing the ministering and the one that is going to get put up on a pedestal is Jesus Christ"
We talked about this and MORE!